In 2018, the Symposium will take place from Tuesday, 3rd to Saturday, July 7th. 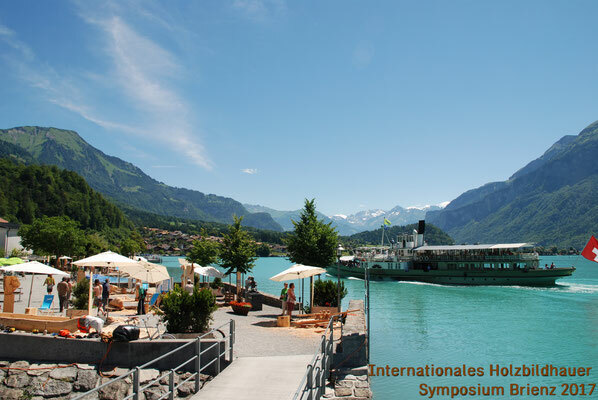 The artists arrive in Brienz on Tuesday. 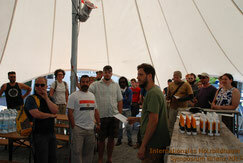 After some welcome information the logs are distributed and the workplaces will be prepared by the artists. 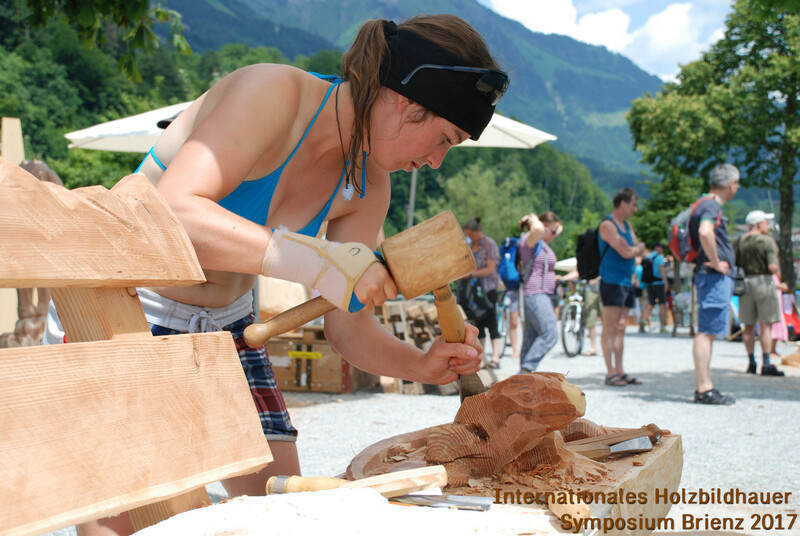 Tuesday and Wednesday the woodcarvers usually work with rough equipment to form the logs. From Wednesday on, the sculptors are encouraged to do the work whenever possible with a hammer and chisel. Use of electrical equipment is still allowed. 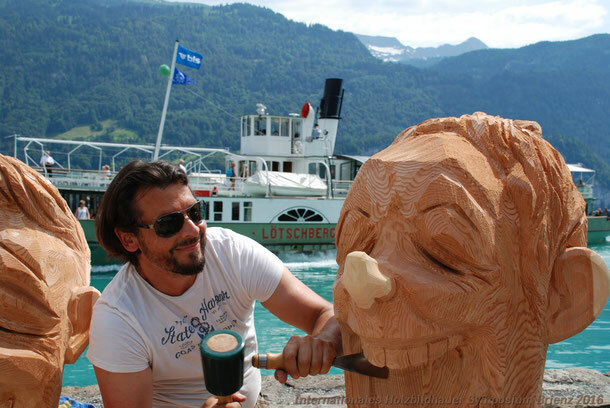 From Thursday and Friday on, the majority of sculptures are recognizable. 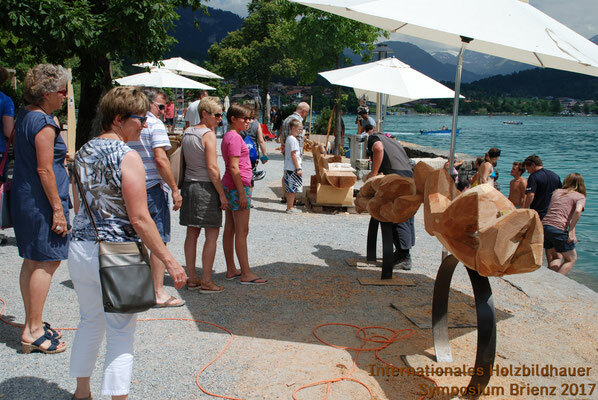 Visit the symposium and watch the artists at work. An entertainment program and catering invite you to stay and relax on the shores of Lake Brienz. 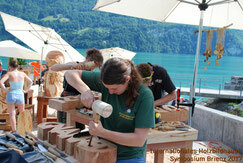 On Saturday, most of the sculptors are still busy with the last work on the sculptures in the morning. 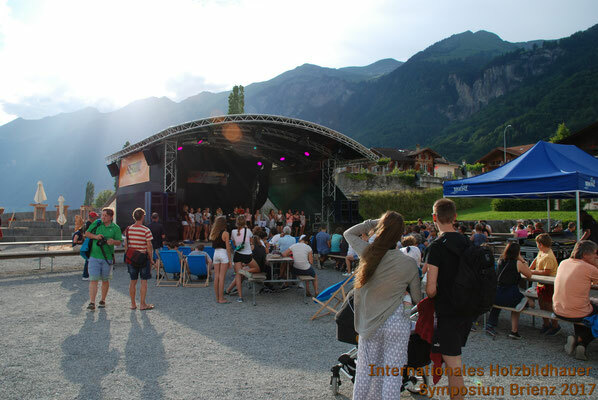 From noon, the sculptures will be moved to Cholplatz, where the “Finissage” will take place later in the afternoon. The sculptures are all for sale. 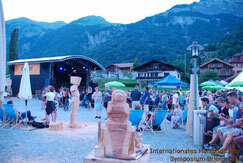 Please contact the sculptors or someone from the Organizing Committee.